Dave Tenney is currently the High Performance Manager for the Seattle Sounders, and he’s always one of my favorite guys to chat with. Whether it’s his knowledge of soccer, coaching, or sports science, he just has a ton of insight into our world. In this show, Dave and I talk about how he’s making the most of a 6-week off-season, what it’s like to win an MLS cup, and what a day in the life of Dave Tenney really looks like. 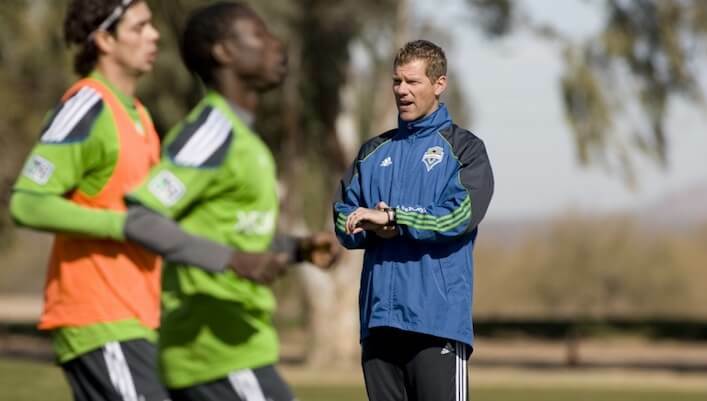 Dave’s gig with the Seattle Sounders, and how he got into the world of physical preparation. What it feels like to win an MLS cup. How winning a championship can affect your preparation and performance in the following season. Dave’s plan of attack for his shortest ever (6-week!) off-season period, including the concessions he had to make. What a typical “Day in the Life” looks for him during the competitive season. How he, and the Sounders, have evolved over the years and continued to sharpen the sword. The advice Dave would give to a young coach or sports scientist who wants to be successful in our industry. A fun lightning round where we do name association (including a Wil Ferrell and Old School reference), his travels during the off-season, and an overview of the upcoming Seattle Sounders Sports Science Seminar.